This beautiful midori was handmade with soft, suple leather. The midori measures 8 1/2in x 4 1/2in and is the traditional size midori. This is a beautiful magenta color. 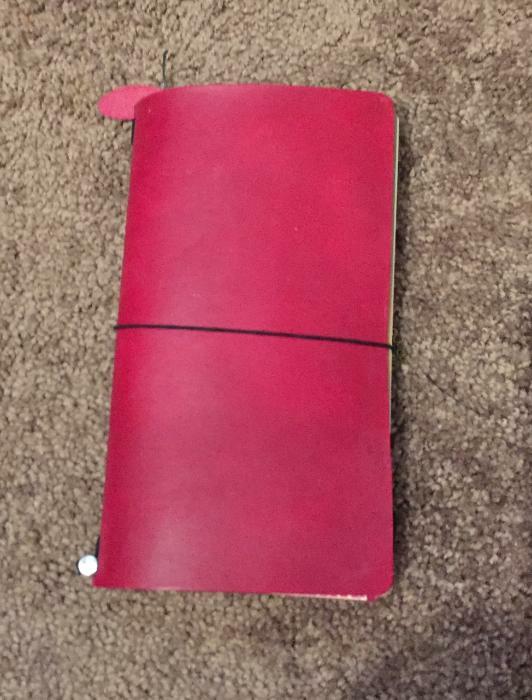 There is absolutely no wear on this journal.These are great for organizing, planning, couponing or artwork. These are woderful and hard to get in the U.S. They are very popular overseas. You can get refills in order to add build your midori to have as many sections as you would like. 2 inserts will be included. You can pick lined or grid paper. Retail for midoris is over 90.00. Please let me know if you have any questions. Happy Bidding.